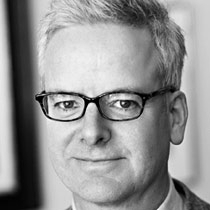 Peter Pennoyer is an architect and architectural historian. His firm, Peter Pennoyer Architects, has an international practice in traditional architecture and is recognized as a leader in classicism and historic preservation. In 2010, The Vendome Press published a monograph on the firm, Peter Pennoyer Architects: Apartments, Townhouses, Country Houses, which illustrates 20 of the firm’s projects since it was founded in 1991. Peter Pennoyer has lectured widely on architecture, urban design, and architectural history, and he is an adjunct professor in the Art History department of New York University where he teaches a seminar on the architectural evolution of New York City. He has served on the boards of the Poetry Project at St. Mark’s Church, the Sir John Soane’s Museum Foundation, and the Municipal Art Society. He is a trustee of the Morgan Library & Museum and the Mrs. Giles Whiting Foundation, and Chairman of the Institute of Classical Architecture & Art.